Tagetes (Tage’tes) are annuals of great decorative value during the summer and autumn months. 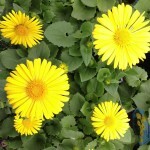 They are natives of Mexico and South America and belong to the Daisy family, Compositae. The name is said to have been derived from a mythological deity, Tages. These Marigolds are quite distinct from the Pot Marigold or Calendula. The two chief types of Tagetes are the African Marigold, Tagetes erecta, and the French Marigold, Tagetes patula. The former reaches a height of 2-4 ft. and bears large, single or double flowers of orange or yellow coloring; the latter grows from 9 in. to 2 ft. high and the flowers are yellow, or yellow marked with reddish-brown. In recent years hybrids between the African and French varieties have been developed. In addition, two other species of Tagetes are grown in gardens, T. lucida, the Sweet-scented Marigold, and T. tenuifolia (signata). The African Marigolds are represented by numerous handsome double varieties which bear large, rounded flowers in orange and various shades of yellow, on strong stems. They are extremely useful in garden beds and borders during the summer months. Much effort has been spent in attempting to develop a white-flowered variety and while not yet successful some modern varieties have pale creamy yellow flowers. In height of plants and form of flowers their is considerable variation and groups of varieties are designated in seedsmens’ catalogs as Carnation Flowered and Chrysanthemum Flowered. There are many other varieties with flowers in a great number of distinct shapes and forms, and some, even, with odorless foliage. If the plants are well grown they will last in bloom until cut down by frost, and provide brilliant masses of color in the garden in autumn. They are useful as cut flowers. When to Sow Seeds. The African Marigolds may be raised from seeds sown about 6 weeks before the plants are to be planted outdoors, in a greenhouse in which a temperature of 50-55 degrees is maintained. The seeds are sown in pots or flats filled with sifted sandy soil; they are lightly covered with similar soil and the containers are covered with glass and shaded from sunshine. If kept moist, the seeds will germinate in a few days. When the seedlings are 1-2 in. high, they should be transplanted to flats, 3-4 in. deep, filled with a sandy, loamy compost; they are placed 3 in. apart. They should remain in the flats until it is time to plant them out of doors after danger of frost has passed and the weather is warm and settled. 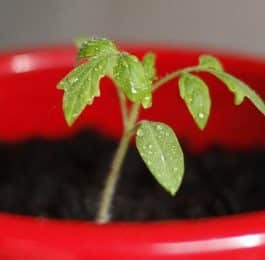 For two or three weeks after transplanting to flats the seedlings should be kept in the greenhouse to assist them to become established quickly. Subsequently, they are grown in a cold frame and, as the time for planting draws near, they are hardened off by ventilating the frame more freely, and finally are fully exposed to the air. It is also quite practicable to grow African Marigolds by sowing the seeds in the locations where the plants are to remain, but the plants obtained by this method will not bloom quite so early as those raised under glass. 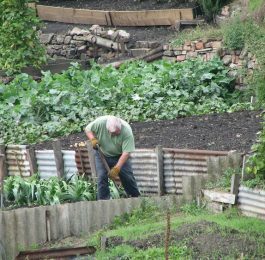 The seeds are scattered thinly in a well-prepared seedbed outdoors as soon as danger from frost has passed, and the seedlings are thinned out until they are not less than 10 in. apart. A location fully exposed to the sunshine must be chosen for the African Marigolds; they are not a success in shady places. It is a mistake to set them in very rich soil, or they will make rank, luxuriant growth at the expense of flower production. They should be planted 12-15 in. apart. The French Marigolds. The varieties of these vary in height from 6-24 inches. The taller ones are useful for grouping towards the front of flower borders and for the production of cut flowers; the very dwarf ones are commonly used for edging flower beds. There are both double-flowered and single-flowered varieties. Among the dwarfer varieties Naughty Marietta is popular. It has rich golden-yellow flowers attractively marked with brownish-red. The single flowers of Red Head have a crested center of yellow and maroon and surrounding petals of mahogany, bronze and gold. Sunny has single, bright yellow flowers marked with cerise at the bases of the petals. Ruffled Red has mahogany-red flowers edged with yellow. All these are single-flowered varieties. Of the dwarf double French Marigolds, some of the best are Spry, maroon with bright golden centers; Tangerine, bright tangerine-orange; Lemon Drop, clear lemon-yellow; and Yellow Pygmy, with tiny, light yellow chrysanthemum-like flowers. There are single forms of the tall French Marigolds, but these are not so popular as the dwarf varieties. French Marigolds require the same general cultural care as that detailed for African Marigolds. They may be started in a greenhouse or raised from seeds sown directly outdoors. If sown directly outdoors the seedlings germinate quickly, provided they are kept moist. They must be thinned out in good time to give them every chance to develop sturdily. It is a mistake to grow these plants in too rich a soil, for they will make vigorous growth but will not bloom very freely. Neither is it wise to plant them anywhere except in full sunshine, for in shade or partial shade they become very leafy, and their blossoming is disappointing. African-French Hybrid Marigolds. A race of hybrids between the African and French Marigolds, raised in America in recent years, are named Burpee’s Red and Gold Hybrids. As yet the strain is not fixed and the plants vary in the color of the flowers they produce. Some are solid red, some solid yellow, others various combinations of red and golden-yellow. Flower colors vary on the same plants at different periods during the season. The flowers are double, 2-3 in. 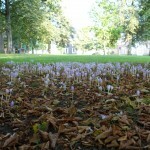 in diameter; the plants are bushy and grow about 18 in. tall. These African-French Hybrid Marigolds require the same culture as their parent types. They bloom throughout the summer and fall and are good cut flowers. Because the strain is not fixed a few true African Marigolds usually appear among the seedlings. Even while they are very small it is easy to segregate these from the hybrids because the African type has green stems whereas those of the hybrids are red. 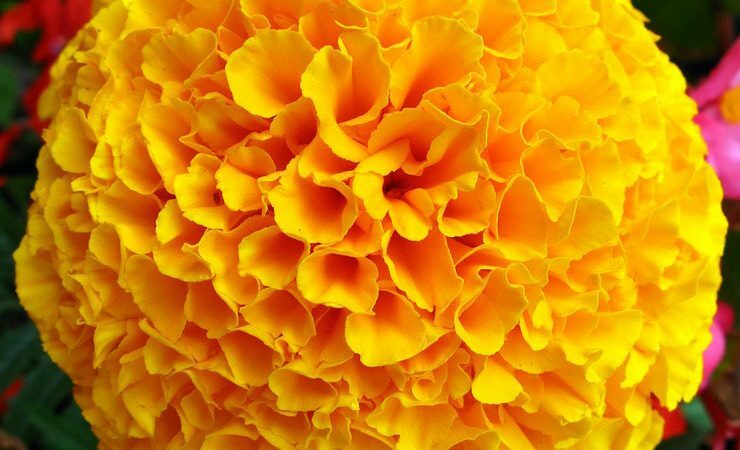 The African Marigolds normally grow taller than the hybrids and should be planted separately. Other Kind of Tagetes. A Tagetes of very distinct appearance and of great charm and usefulness is T. tenuifolia (signata) pumila. In recent years this has been listed under the name of Dwarf Signet Marigold. It is a native of Mexico and forms a broad, bushy plant 1 ft. or less tall. It has finely divided foliage and bears a multitude of single, golden-orange flowers about 1 in. in diameter, each with but few ray florets. Tagetes tenuifolia variety pumila requires the same cultural care as the dwarf French Marigolds and, like them, is a splendid subject for planting in groups at the fronts of borders, for bedding and for setting out as edgings to flower beds. The Sweet-scented Marigold, Tagetes lucida, is an attractive species from Mexico that does not appear to be very much cultivated. It grows about 1 ft. tall, has fragrant foliage and carries its golden or orange-yellow flowers in dense terminal clusters. It requires the same cultural care as the other kinds. In Greenhouses. All kinds of Tagetes are useful plants for growing in greenhouses for winter and spring display. They are elegant pot plants and are also useful as cut flowers. Some seedsmen offer special winter-flowering varieties which bloom freely even when days are short and light less intense than in the summer. One of the best of these is called Lieb’s Winter Flowering. For winter bloom, the seeds should be sown in August or September; for spring bloom, sow them in January. 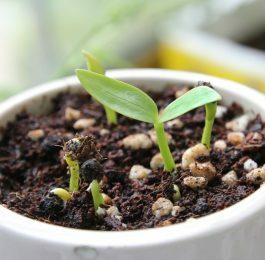 The seedlings should be transplanted to flats, or individually to small pots, and later potted in larger receptacles as needed. Pots measuring 5-7 in. in diameter are satisfactory sizes in which to let the plants flower. Good results may be had by growing either one or three plants in each pot. The soil for Tagetes grown in greenhouses should not be overrich but it should be well drained. When the plants have filled their final pots with roots, weekly applications of dilute liquid fertilizer will be of great benefit. At all times these plants must be exposed to full sun and should be provided with airy, rather cool conditions. A night temperature of 50 degrees is ample; on dull days the temperature may rise about 5 degrees and on sunny days 10 or even 15 degrees. By supplementing daylight with artificial light (either of the fluorescent or incandescent kind) earlier and more flowers can be obtained from Tagetes grown in greenhouses in winter.